Miss HELANG: I want ONE!!! 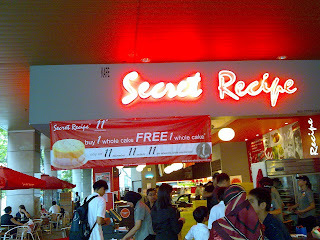 While my sister and i 'jalan2' on the street of Jln TAR, we saw a lof of people carried Secret Recipe's cakes (I mean their box). Nor Jihan : "dik, apesal ramai org beli kek secret recipe ni? 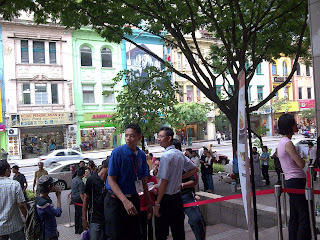 Dua kotak lagi tu"
Najihah : "nda tau la kan, cuba dulu kita tgk di Sogo"
After we reached in front of Sogo.. I want to buy one and get free one. But there is nobody left, only me and my sister at UIA. Sooooo, 'telan air liur je la' hehe..